Today I am thankful for Quietness, blessed quietness! Quietness is such a blessing. I often have grandkids several times a week. I love them dearly, but when they go home, the quietness is wonderful! 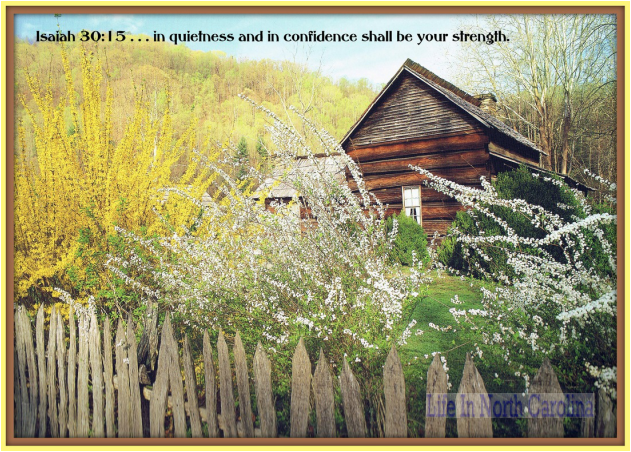 Daily I should quiet my heart before God and rest in the fact that I have confidence in Him and His strength. Isn’t it nice to know that I can just Be Still and know that God is God. He is the same yesterday, today, and forever! Hebrews 13:8 Jesus Christ the same yesterday, and to day, and for ever. In the midst of turmoils and trials and I can have relax in the hand of almighty God and let Him take care of everything. Psalms 46:10 Be still, and know that I am God: I will be exalted among the heathen, I will be exalted in the earth.